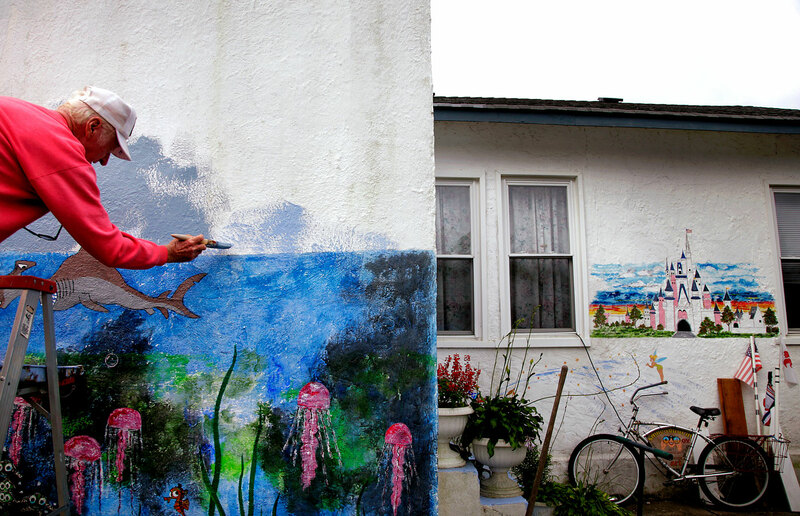 Paul "Red Rooster" Trice works on a mural inspired by the movie "The Little Mermaid" on the side of his house. Despite cranky neighbors (they're just jealous, he said) and a city inspector who dropped by recently, Red Rooster, 77, is determined to turn his rented home into a house of art. Stucco is the hardest to paint on, he said: "It's like painting on a frog that's full of warts."